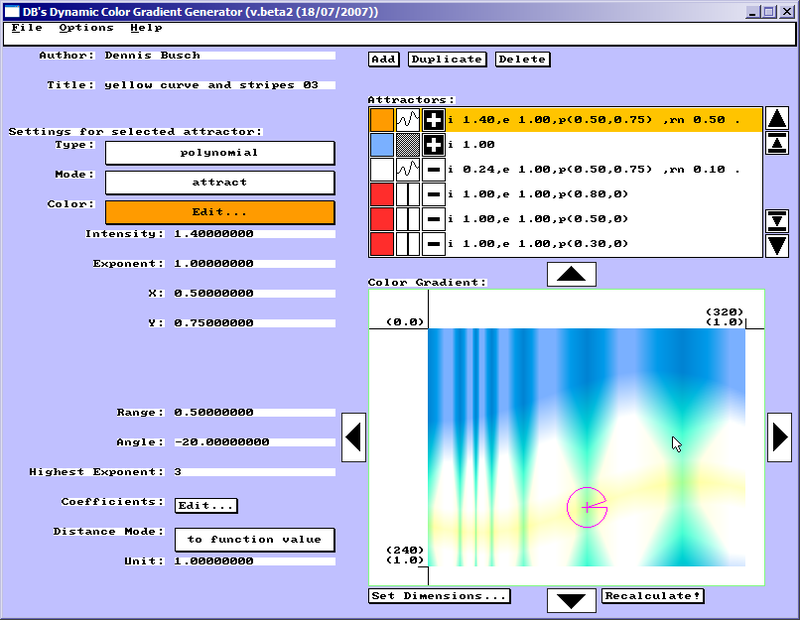 The Dynamic Color Gradient Generator is a little tool I wrote to generate beautyful and interesting color gradients based on freely definable, parametrized objects I called color attractors. Take a look at the screenshots for details and play around with the examples in the archive to see how it works and have fun creating some colorful images! The created gradients can be exported/generated into bitmap files of arbitrary resolution, so you can then further process them in your favourite imaging tools.